As we’re entering 2015, it’s a perfect time to reflect on the market for Columbus, Ohio real estate for sale during the previous year. 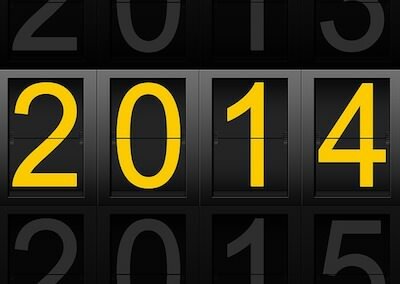 The data shows that 2014 was a fantastic year for both residential and commercial real estate. If you were buying, selling, or investing last year, you likely experienced very few setbacks or shortcomings, growth in important areas, and declines where they were needed. While there is still room for opportunity in 2015, last year brought much positivity to an already flourishing market. Join us as we take a look back at 2014. The housing market for Columbus, Ohio in 2014 was largely optimistic, with very few missteps. Although the housing market in 2014 wasn’t as strong as it was in 2013, Columbus, Ohio real estate for sale still saw growth, most notably with home pricing. Homes in the area were sold with an average selling price of $183,099. The number of homes sold in 2014 was good enough to land the fourth spot in most homes sold in Columbus, Ohio, ever. But there weren’t as many homes sold in 2014 as there were in 2013 – 26,655 to 27,235, respectively; this can be attributed to a lower amount of homes for sale on the market. The lower amount of homes, however, isn’t the only reason behind the decrease in homes being sold; poor mortgage concerns, the lack of income growth, and student loan debt also contribute to the slight decline in real estate for sale in Columbus, Ohio. Another positive aspect of Columbus, Ohio real estate for sale in 2014 involved short sales, specifically within the fourth quarter. In Columbus, Ohio, real estate short sales were at a low point for the year in the fourth quarter of 2014, with only 955 sales being made. This number of closed short sales was 33.7 percent less than that of 2013, where there were 1,440 closed short sales for the quarter. Inventory of distressed properties (meaning, homes having the potential to sell at their actual value either has passed or will pass soon) was also shrinking. The fourth quarter saw a roughly 50 percent decrease in distressed inventory when compared to the year prior. Columbus, Ohio’s commercial real estate market, despite a poor first quarter, was stellar in 2014, especially with the third quarter statistics. There were a total of 45 leases in the quarter that makes up nearly 225,000 square feet of retail space leased in the area. With the new leases, the number of vacancies in Columbus, Ohio is on the decline, as well, with the percentage of vacancies dropping by 9.1 percent from the second quarter.